Nowadays new means of communication pop up almost daily. And every time a new channel starts to gain popularity bloggers and marketers hop on the bandwagon and deem that the previously prevalent channel is “dead”. This was the case with email, as social media, messaging apps, and chatbots appeared people claimed that “email is dead”. Of course, it wasn’t and it still isn’t “dead”, but it’s changing. And one of the most important aspects of email marketing is design. 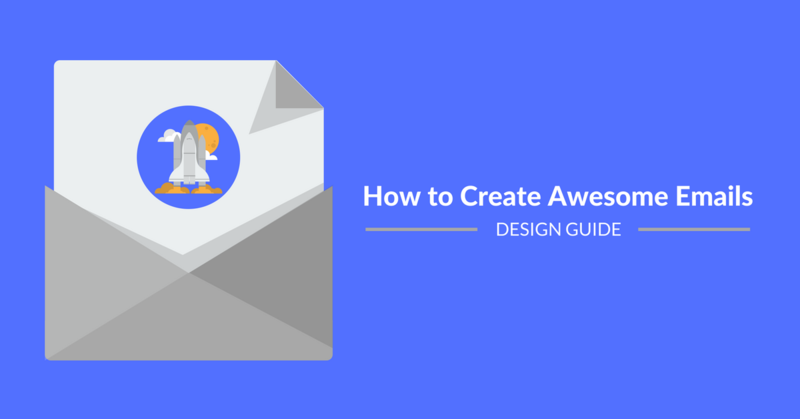 So in this article, we kick it off with some email design best practices and then we take a look at some example email designs and compare them. Include the name of your company in the From Name. Generally, it’s best to go with a first name plus the company like Gabor from Automizy. This way even though it’s a bulk email it feels more personal to the recipient. Also, it’s more transparent than using just the name of someone from your company. For the recipient using just a name can feel like you’re tricking them into opening the email by making it seem like a general business or personal email. So either go with a name plus company or just the company name as the sender name. Use a relevant, informative, and clear subject line. Do not use ALL CAPS or spammy words. Relevance is key because if you overhype your subject line and then you fail to deliver on your promise that damages trust between you and your subscribers. Online Version: Don’t forget to include a link to the web version of your email. Preview Text: Most email clients show a preview text (usually limited to 100 characters). It’s either the first couple of words of your email or with some ESPs (e.g. Automizy) you can even type in whatever you’d like. This little snippet of text lets you build on your subject line. Johnson Box: This is a preview of your email (400x300px) and the most important part of your email body. It can make or break your email campaign. Keep the height of your header below 150px so other important information can fit into the preview. The optimal email width for newsletters is between 500 and 650 pixels. 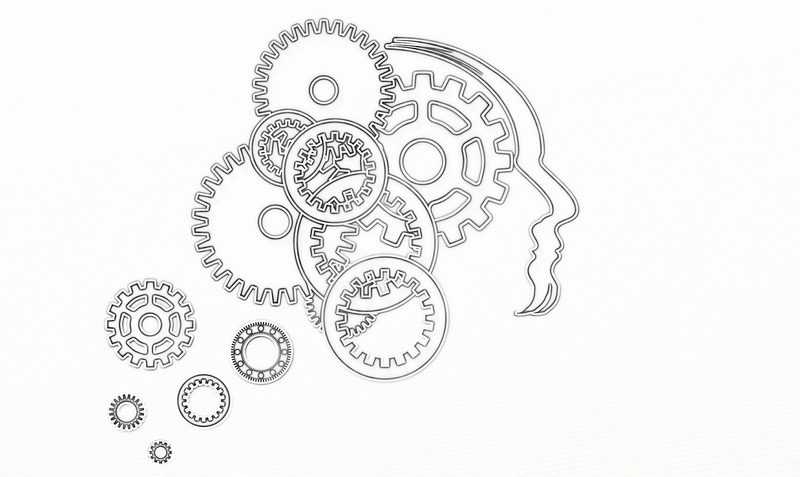 Using images is a great way to create more visually compelling emails. However, most email clients don’t load images by default. So the more images you use the more blank spaces your subscribers see. Don’t get me wrong. I’m not saying you shouldn’t use images, just don’t rely on pictures alone to sell your product, provide value or get your point across. And always keep in mind to include title, alt text and fallback color to make sure there are at least some text and color appearing for those who have image loading off. Steer clear of background images layered with text, because many of the popular email clients don’t support them. Words are the heart of every email. But you don’t want to overwhelm your subscribers with a sea of text. Also, you risk landing in the spam folder by using too much of it. The best way is to use text blocks and link to articles or landing pages. And if you have a lot to cover and you don’t want to use links at least include a table of content, so the readers can navigate with ease. It’s best to use short sentences and paragraphs, bold and italic typefaces to highlight the vital words of your copy. The ideal font size of the body copy is around 12-14 pixels and the title should be at least 22 pixels, which provides proper readability on mobile devices. Depending on the length of your email use 2-5 panels to provide visual emphasis and drive the attention of your reader to your most important offers. Make sure your call-to-action(s) are straightforward and engaging. Either you won because the content of your email was engaging enough for the reader to consume all of it. The fact that they read the whole email shows the intent of further interaction with you or your brand. So include your company’s contact details, and make it easy for your subscribers to share the email by including social share icons and a ‘Send to a Friend’ option. 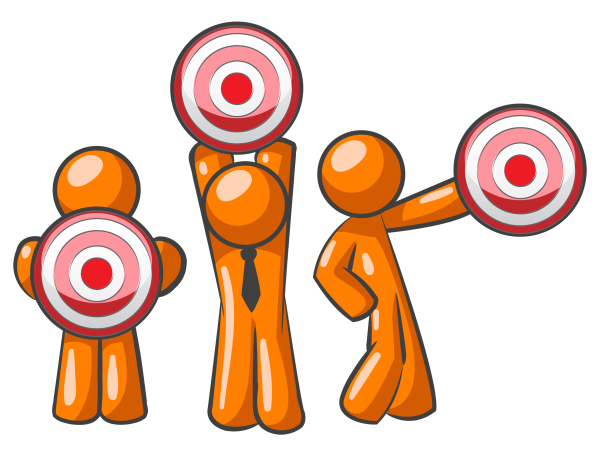 This can drive virality and increase the size of your email list by a lot. You can also include links to the most important subpages of your website. Although, be careful because too many links and images will make your emails land in the Promotional tab. Which is not necessarily a bad thing, especially if you’re sending newsletters. However, if you’re eager to land in the primary tab check out how to get delivered to the primary inbox in Gmail. However, an extremely high amount of links can make your email land in the spam or junk folder, especially if the link are from different domains. Or you lost because the subscriber opened the email to quickly scroll all the way to bottom only to unsubscribe. But you don’t need to worry too much about people unsubscribing from your list. It’s not the end of the world. It’s just a natural part of email marketing unless you experience unusually high unsubscribe rates. If you do, you’re doing something wrong or your list isn’t interested in your content at all. Whatever the case may be, DO NOT make it difficult to unsubscribe! Because finding that dreaded ‘Mark as spam’ is pretty easy to find in most email clients. And you definitely don’t want that. Not mention making it difficult to unsubscribe can damage your reputation. It’s also wise to include something like ‘You’re receiving this email because you subscribed at xyz.com.’ or ‘Why am I receiving this email?’ with a link to a page where your audience can manage their subscription settings. Always make sure that your email is responsive. In most ESP it’s pretty easy to do, just click on preview and switch to mobile view. The CTAs in your emails must be highly noticeable, positioned in the center and the recommended minimum size is around 50 x 50 pixels. Most newsletters have two or three column blocks, but for your emails to be responsive these blocks should be displayed on mobile in one column. Otherwise, it’ll be a nightmare to read your emails on mobile devices. Make those links pop. You don’t include links in your email just for the sake of it. You put it in there because you want people to click on it. So make your links stand out, by coloring, underlining, or using bold or italic. Videos and GIFs can spice up your emails. And as more and more clients start to support them it can’t hurt too much to try it out. Although for now, I think the best way is to take a screenshot of your video with a play button in the center, so it looks like it’s embedded and links the image to the video so it opens in a new tab. If you’re creating an HTML heavy email including an easily readable, structured plain text alternative is a wise choice. Why don’t try out your email design skills with our drag & drop editor? Get started for free now! if you register to these platforms they send you a daily digest based on your interests. And the last one is a surprise. Out of the three platforms, the daily emails of Medium are by far the longest. Their emails nicely follow the style of the platform, and since Medium itself has awesome design and typography their emails do too. and recommendations by the Medium staff. These emails are 590px wide. The layout is nicely spaced out with lots of different sections. As you can see the ‘Your daily three’ section includes bigger images, the title and the first sentence of the article, the author, the publication and the time it takes to read the piece. The design is clean, there’s great visual hierarchy inside the blocks, and throughout the email. There’s enough content to grab the reader’s attention. From this point on the email follows the arrangement you see above. The sections are made up of the same parts, but with smaller pictures and font sizes and each of them has three blocks. They keep everything consistent, and that is essential especially with digests like this. At the end of the email, there’s the call-to-action you see above. The ‘Customize your interests’ text is fitting because the whole email is based on those. So if you’d like to receive a different type of content in your digest you can just click on it and edit your preferences. Below the CTA you can see the mandatory social icons linked to the profiles. These are not share icons and for a good reason. Because we’re talking about a personalized digest it is not intended to be shared, but the articles are. And if someone clicks on an article they can share the posts with ease by clicking the icons on the left side of every Medium article. They keep the footer as minimal as possible while covering everything essential. The ‘Switch to weekly digest’ link next to ‘Unsubscribe’ is a great way for them to keep their unsubscribe rates lower. By explicitly offering a different setting other than just the same old email preferences. 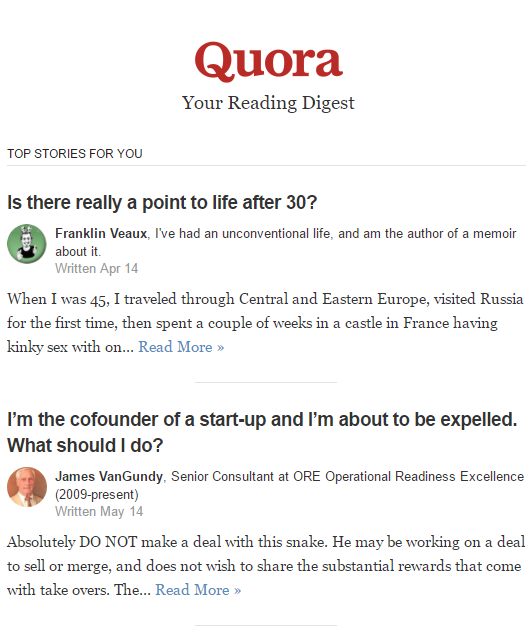 The Quora Digest emails have less amount of content. Just as Medium they cover questions based on your interests, and follow the style of the platform. From my experience, they usually start out with more of a general question as the first one, and then continue with tailored questions for your specific topics, with one more general one towards the end. The width of the email is just 530 pixels, so it’s a lot thinner than the digest of Medium. Also just like with the platform they take more of a simple approach. The header contains the logo of the right size, then the ‘Your Reading Digest’ heading under it. The body cuts right to the chase with your curated questions, and snippets of the answer. The name, the credentials and the profile picture of the author are inserted between the question and the answer snippet with the date the answer was written on. 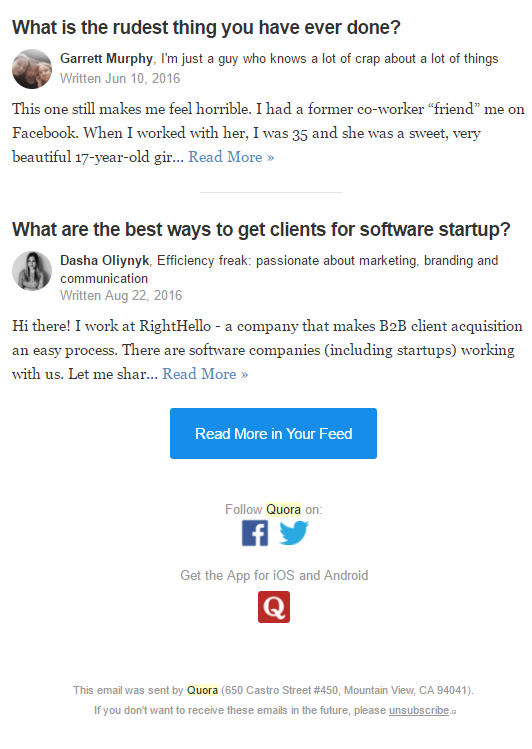 After every snippet, there’s a call-to-action which is linked to a page on Quora called ‘Stories From Your Digest’ where you can read the complete answer to every question in your digest. This is sort of like their web version. They only include images – other than the profile pictures – if the answer they include contains an image. In each email, you can find 10 questions, so there are 10 blocks like this in every email with a divider in between them. Pretty straightforward and easily readable. Of course, after the final answer, there’s another call-to-action button which directs the reader to the same ‘Stories From Your Digest’ page on Quora. The CTA itself is eye-catching and well-placed. After the CTA you can a find the mandatory social icons and a little Quora icon to encourage mobile app downloads. Just as the whole email the footer is pretty simple and straightforward too. Clicking on unsubscribe takes you to a page where you can set up how often you’d like to receive digests: daily, weekly, or never. I think in this particular case the wording of Medium is better. 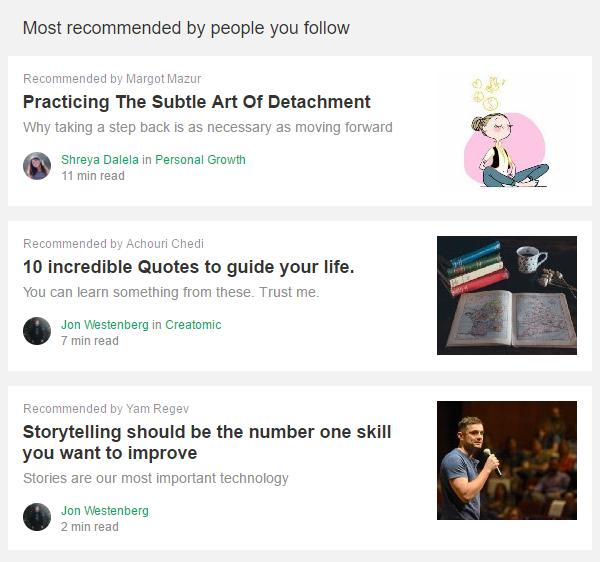 Even though clicking on ‘Unsubscribe’ or ‘Switch to weekly digest’ takes you to the same email preferences on Medium I think it’s wise to distinguish the intent. 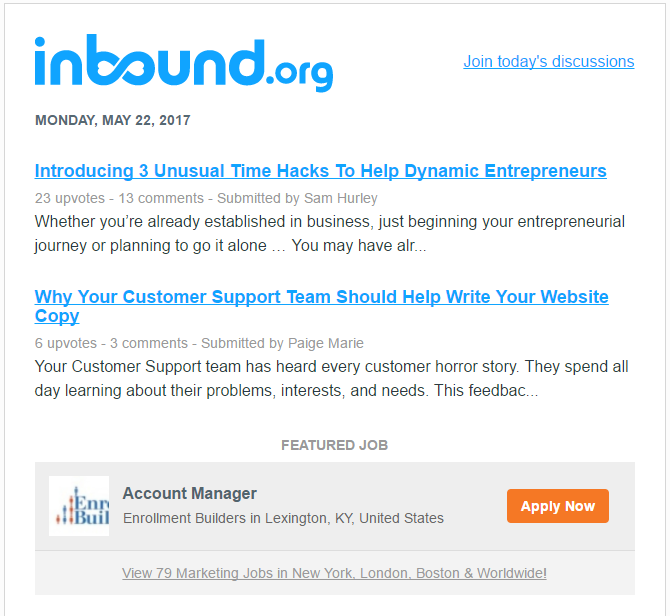 Out of the three digests, Inbound.org has the shortest most compact newsletter out of the three, and it’s not the only major difference. They follow the style of the platform somewhat, but not nearly as strictly as Medium or Quora. The blue they use in the email is brighter, the fonts and layout are different too. Their emails are 670 pixels wide, so by far the widest of the three with a simple layout. The header contains the logo and you can find a ‘Join today’s discussion’ call-to-action on the right side which takes you to the homepage of the platform. Inbound.org is the only one out of the three that doesn’t use black for the color of the headlines. But they underline it, so it’s clear for everyone that they are clickable. Under the headline, you see the number of upvotes and comments for each post and the person who submitted it in gray. Below you read a little preview text of the posts just like the other digests. Another big difference is that Inbound.org is the only one to include ads in their emails. The different background color and the bright colored CTA draws the attention away from the actual content. 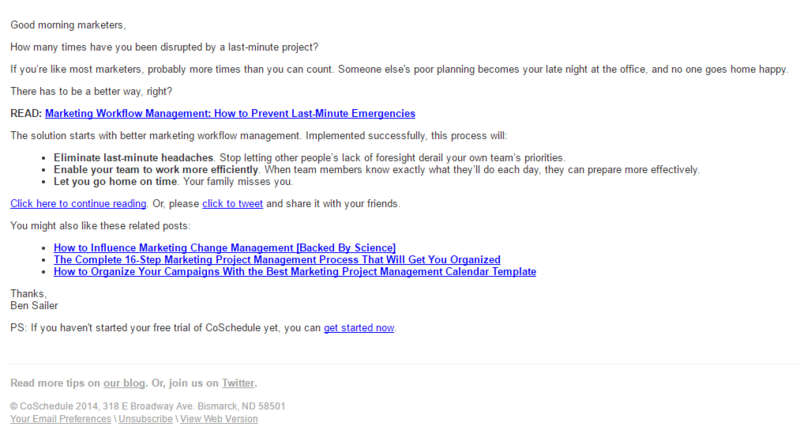 As you can see the Inbound.org emails don’t have a call-to-action at the end. It’s because there’s a CTA in the header of the digest. 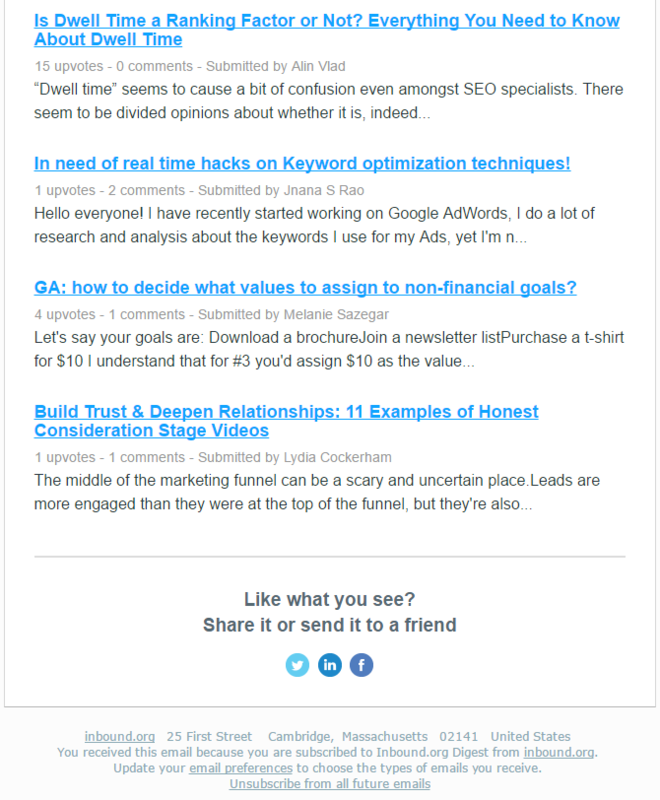 Unlike Medium and Quora, the social icons for the Inbound.org Digest are actually for sharing the email itself. Their footer has all the necessary things like address, unsubscribe and email preferences. So we covered and compared the three email digests, now let’s have a look at one more exciting examples. Just by having a quick look at this email, it doesn’t seem like a newsletter, does it? There aren’t any images, just well-structured text with links to their posts, trial and a click to tweet. The most important phrases are highlighted with bold typeface to draw the attention of the reader. and looks basically the same on any device. It might be wise test out this format, maybe even in the form of a split test. 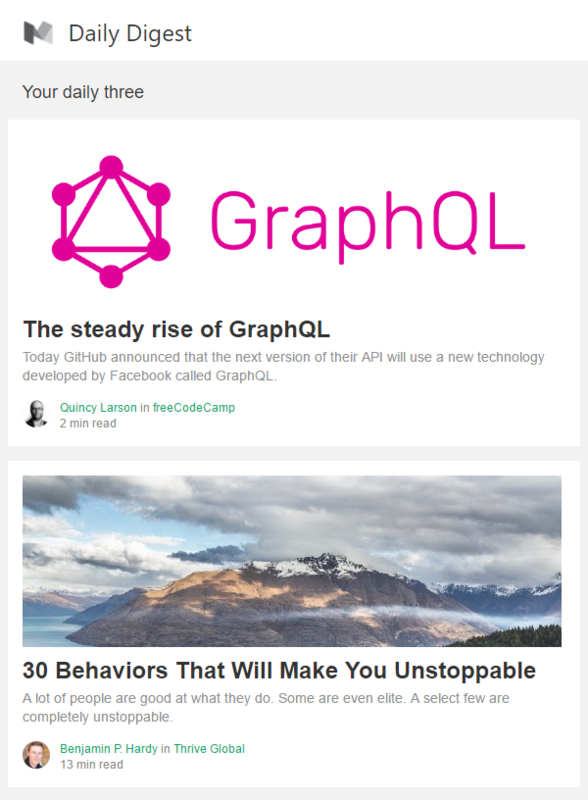 Send two emails with the same content one with a traditional newsletter design and the other something similar to this example. When you experiment with new layouts and design elements it’s recommended to create multiple variations. You need these because you can never know how your audience will react to redesign. Most people have a natural bias toward things they created, so it’s best to step back and test multiple variations to see how these new design features will work to avoid heading in the wrong direction. 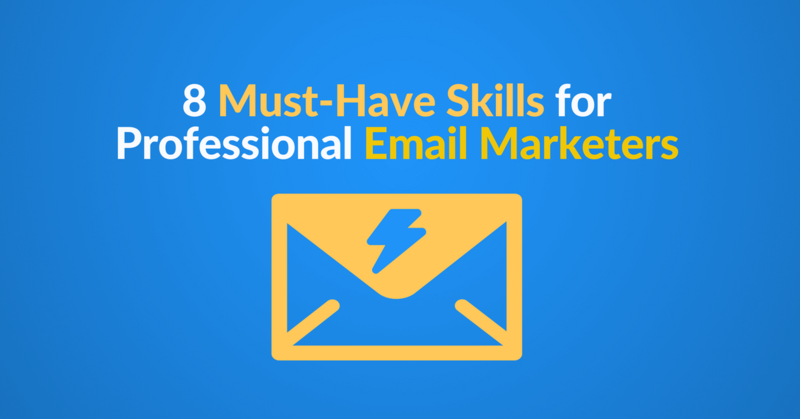 … and start creating astonishing emails that your audience will be glad to open!